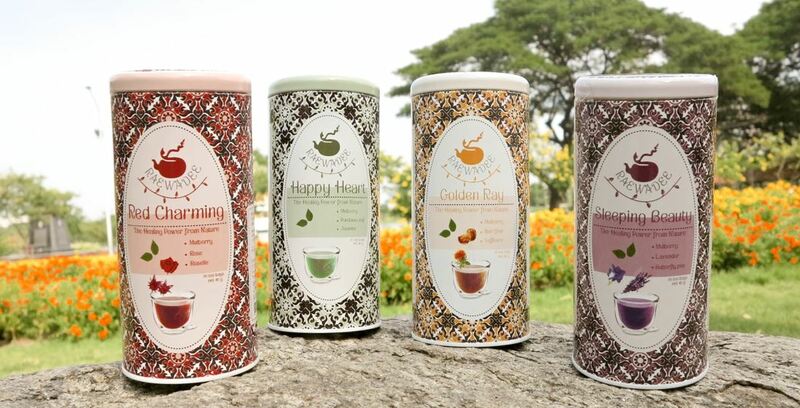 Our inspiration to bring the benefits of Thai herbs into the flavor of tea was two foldThe health benefits and to bring the best flavor I could to make an outstanding tea. To make the best tea for our consumers we focused on blending the finest herbs and aligning them in terms of color, smell, taste and overall health benefits. Our main ingredient should be Mulberry which is grown organically fresh on our farm. Mulberry contains many benefits such as reducing cholesterol and sugar in the blood, lowering blood pressure, anti-aging properties and many other benefits. Our first formula that We proudly present is called Happy Heart which brings Jasmine and Pandanus leaves together which benefits the heart. Blended with Mulberry, Happy Heart is a herbal tea that is a lovely shade of green, extremely smooth to the taste with the sweet smell of Jasmine. For Red Charming We have chosen the rose the symbol of love which blended with mulberry and Rosella gives a bouquet of smells that tantalize your taste buds with enriched multi vitamins such as potassium for the heart, zinc for your blood, citric acid with its anti-oxidant properties help with harmful free radicals in your body. Least but certainly not last is Sleeping Beauty with a soothing smell of Lavender mixed with Mulberry and Butterfly Pea helps you fall gently into a peaceful sleep. Butterfly Pea also has the added effect of decreasing wrinkles. 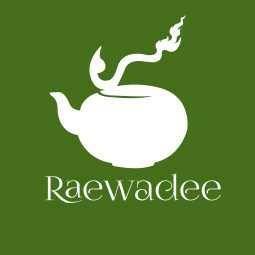 Raewedee Tea hopes that you will feel deeply as We do about the taste of our soothing smooth tea. With its high health benefits which is unique to each formula We are thankful for our customers in fulfilling our dream. We wish to show the world the benefits of Thai herbs. We also wish all my customers good health and happiness today, tomorrow and in the future. Let us know your impressions on our product!